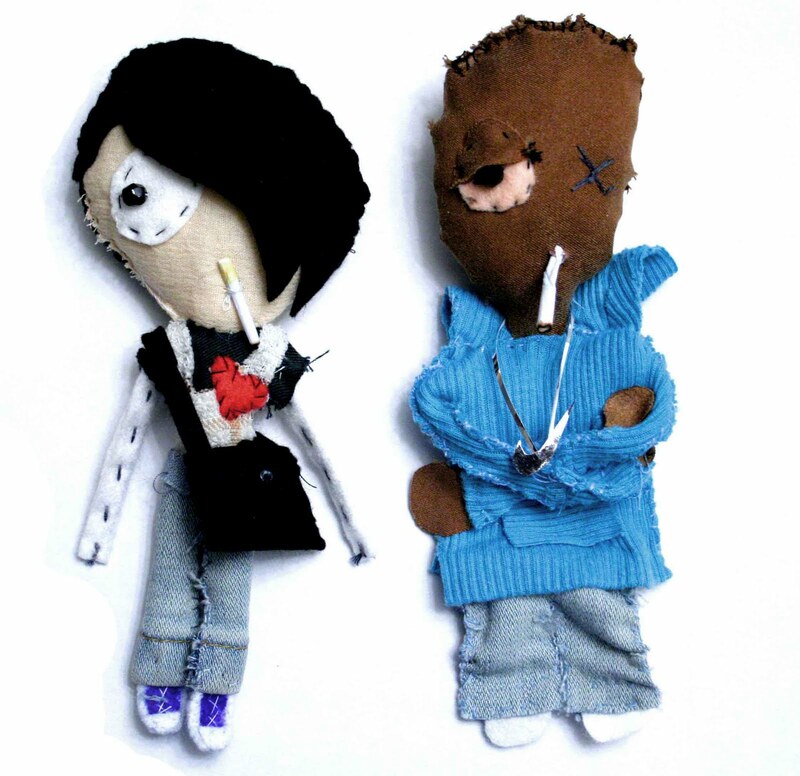 I forgot about these little puppets made back in 2007 until last night. I made Skylar, the emo kid, and my friend Maya made Raoul, his unlikely buddy, as a birthday present for a mutual friend. Skylar is wearing blue Chuck Taylors and has a love poem in his back pocket.